Importance of accurate data entry has taken a seat in board room of companies across the globe. But accurate data entry does not come free. Companies are struggling to find solutions to avoid common errors and how to check data accuracy. Outsourcing data entry services for accuracy and quality has become one of the fundamental requirements for every business to succeed. 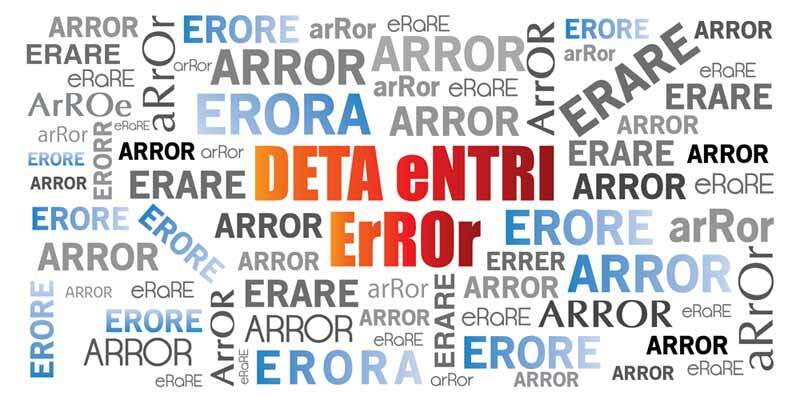 Which are the common data entry errors that lead to inaccurate data, costing lots of dollars, time and efficiency to organizations? Data management strategies were designed with a focus towards developing robust database management software, monitoring transactions, data replication, data security – backup and storage. Extensive technology including data warehouse, data mart, data mining, and decision support through data visualization dashboards, were also developed for conveniently accessing the data. Everything was about the efficiency of collecting data, storage data and protection of data but nothing was been done on the lines of improving accuracy of data. Small and medium businesses have failed miserably in improving the accuracy & speed of data entry, and the overall data quality. The below average quality of existing datasets & slow measures of data quality management have emerged as a major problem. The saddest part is that cost of poor quality of data stays hidden and does not show up to organizations that dont care to look for it. But now companies have realized that common data entry errors are resulting into inaccurate data or quality data challenges and costing them losses in money, time and missed out customer opportunities. Why is data accuracy important for overall data quality? Data accuracy is one of the five elements of data quality, including completeness, consistency, accuracy, and being time-stamped and standards-based. Form and content are the two characteristics of accuracy. Form is important as it eradicates the chances of inaccuracies of the content. To understand “what is accuracy of data and why is it important?“; we should first understand the common data entry errors which impact the accuracy of existing as well new datasets. John’s birth-date is May 19, 1974. 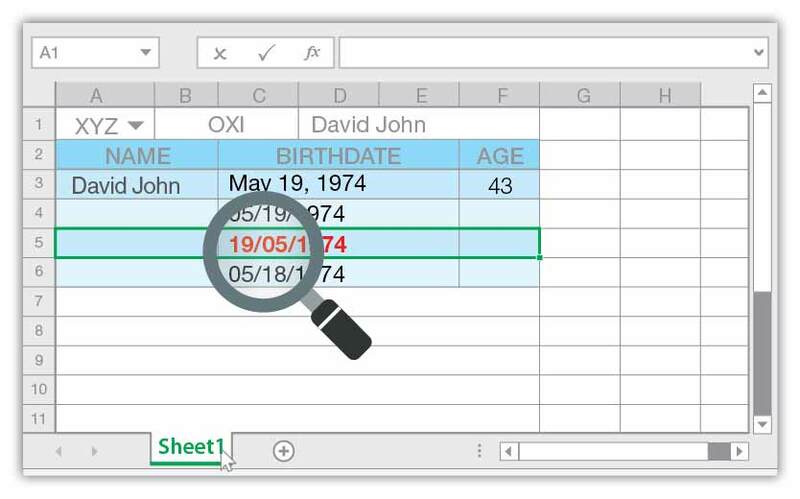 If a personnel database has a BIRTH_DATE format which accepts data in USA format, data entered as 05/19/1974 is correct. A date entered as 05/18/1974 would be inaccurate because it is the wrong value. A date entered as 19/05/1974 also would be wrong because it is a European representation instead of USA representation. In above example, reviewer will not be sure of whether the date entered was invalid or just erroneously represented. It is impossible to tell the representation from the value and hence ambiguous. In order to tell the representation from the value needs discipline in creating the date values in order to be accurate. A value is not accurate if the user of the value cannot tell what it is. A situation where two values are both, correct and unambiguous, also can create problems for reviewers. The data value entered as habile data and HabileData, both refer to one of the best outsourcing data processing service providers in India – the same company. However, because both the recordings are inconsistent, they result in data inaccuracy. Though the values depicted in the above example are different, the reviewer will have no difficulty in figuring out what the values mean. But inconsistent values cannot be accurately aggregated and compared. As databases are mostly used for comparisons and aggregations, inconsistencies will lead to inaccuracy of data. 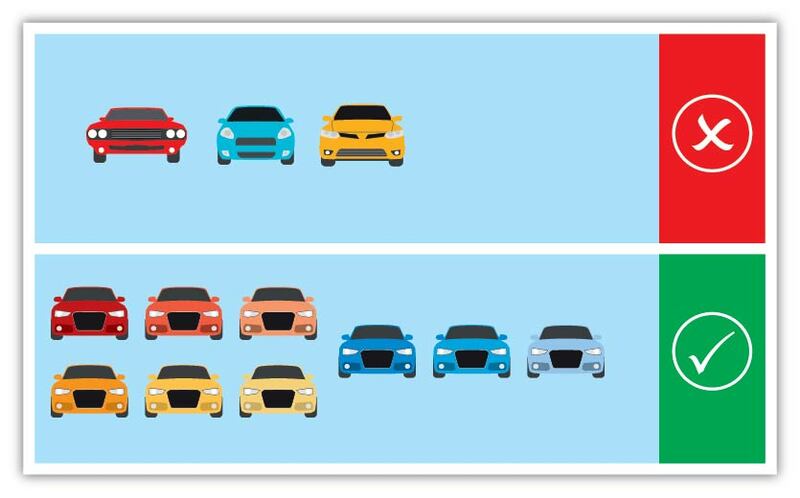 A car manufacturing company has a color field designed specifically to accept customer preferences in red, blue and yellow color only. However a market strategy compels them to make necessary changes in their system to record up to 30 different colors all of which are variations of red, blue and yellow. Also because it is a new range of cars, none of the old records were required to be updated. It is obvious that this database will suffer inconsistent data representation of colors that certainly will cross lines with old records at some point of time. Such changes are considered minor and are not documented. The instances when such changes are implemented have hazy timelines; and not all the stakeholders switch on to the new scheme at the same time. Upon conducting data mining activities for business intelligence, the results are bound to be inaccurate. 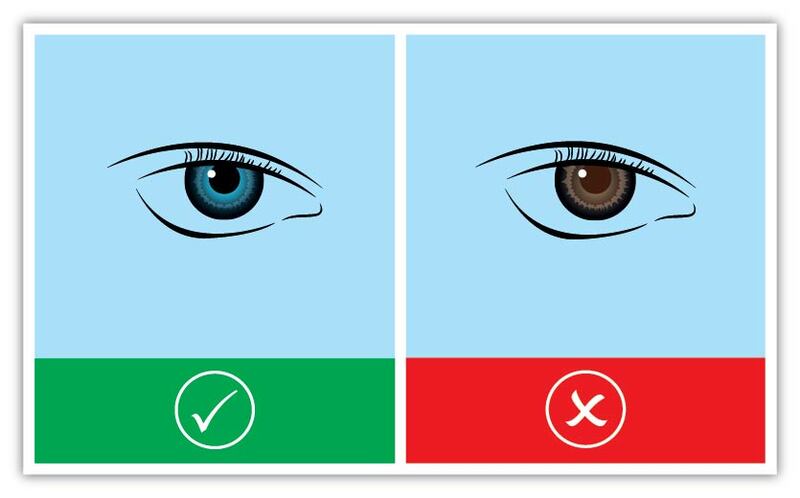 For medical records used for insurance claims, if a data field is used to store the color of person’s “EYES”, the value of “HAIR” would certainly be invalid. The value BROWN as Peter’s eye color though valid is inaccurate, as his real eye color is blue. A value when is considered to be valid, means that it is a part of a collection of possible accurate values represented in an unambiguous and consistent way. But it nowhere claims that the value is accurate. For a value to be accurate it must be the correct value. Remember, not all values are accurate because they are valid. Blank fields can be accurate but not valid. For admission forms in the education industry, if the field COLLEGE_LAST_ATTENDED is left blank, it can be accurate; as the applicant might have never attended a college. 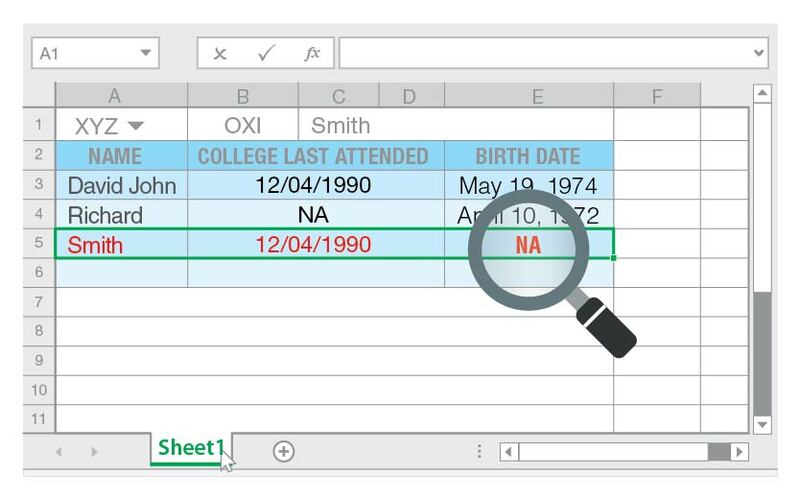 But if a BIRTH_DATE field is left blank, it can never be accurate as all applicants certainly will have birth dates. The field COLLEGE_LAST_ATTENDED left blank will be inaccurate and invalid, if the applicant has attended the college. Missing values are the biggest criminals that make the database dirty due to such characteristics. 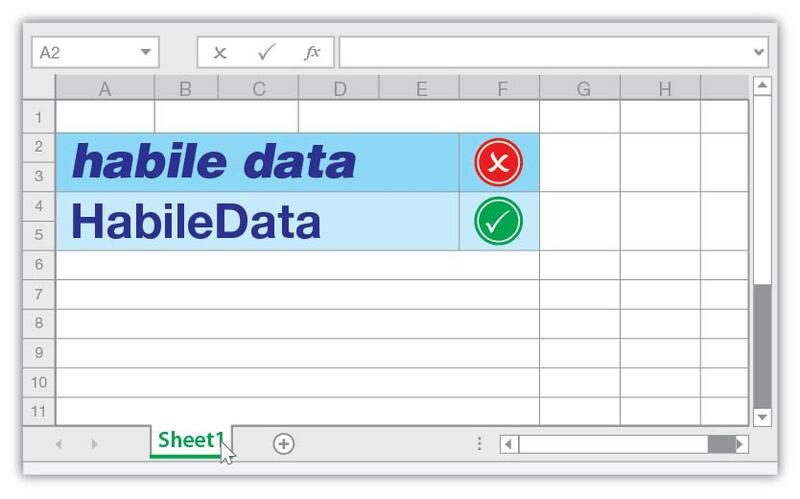 In order to maintain the accuracy of data, an optional data element should be allowed to encode a value for NULL. Only data entry solution providers get it right all the time. Their smart data entry professionals create a support system of keywords to take care of empty fields keeping in mind the queries and COUNT, GROUPBY, and other commands that formulate results easily & correctly. How to maintain data entry accuracy and quality? Above mentioned reasons make it nearly impossible for companies to reach out to accurate data. Data management best practices may help organizations identify inaccurate data – but not all of them, and can fix only a small fragment of what they found. Immediate improvements in data accuracy can be done in short time with considerable payoff – but getting business databases to low levels of inaccuracies and keeping it that way is a long-term process. Companies should hire offshore data management teams, comprising of data collection experts, accompanied by data preparation and data entry experts, who further delegate prepared databases to best data processing and data interpretation executives. Hiring offshore data accuracy teams benefit businesses big time as outsource data cleansing and data processing members’ work dedicatedly towards the task of improving and maintaining superior levels of data quality; unlike in-house teams who apart from data management activities are also required to focus on core business operations. Furthermore; third party data processing solution providers also have data scientists to conduct data analysis of processed data. These business analysts are experts at database architecture or data modeling, and analytics techniques which makes them important to reap maximum value of all data accuracy activities. Also these data entry companies know the trick of the trade, and ensure to communicate with other stakeholders including database administrators, data architects, repository owners, application developers, and system designers.